The following was designed to provide a basic understanding of commercial real estate terms. Navigating a lease document can be a difficult experience even for the most seasoned real estate professional. An understanding of key terminology and real estate language is essential for a successful negotiation. Area calculations are critical in any real estate transaction but they are often misunderstood and can greatly impact the value of a transaction. Typically, Landlords will state their rental rate as a $ per “rentable” square foot. However, Landlord’s definitions of “rentable” can vary considerably. Thus, the stated rental rate per rentable square foot can be misleading and needs to be analyzed. Ancillary spaces, including basements, mechanical areas, roofs and stairway shafts. Landlords allocate ancillary areas proportionately to the usable area to calculate the total rentable area of the office space under consideration. The resulting square footage, the “rentable” area is larger than the actual “usable” area within the confines of the office space. The difference between the Rentable and Usable Area is the Loss Factor. More specific definitions can be found at the Building Owners and Managers Association (“BOMA”) web site www.BOMA.org. Owners In suburban locations often use BOMA standards. In New York City, most buildings disregard the “theoretical” approach and assign a Loss Factor. An owner may arbitrarily decide that the rentable area shall be 25% larger than the Usable Area throughout the building resulting in a “Loss Factor” of 20%. Financial comparisons between properties should always be based on usable square feet or on another objective standard such as total rental cost per employee. This is a critical lease clause, one which can make an asset out of a liability and, if written properly, can also provide the needed flexibility for a Tenant’s growth and contraction. Landlords want maximum control over the tenancies within their properties so that they may maintain the property, avoid undesirable subtenants, and capture any of the economic benefit of a new Tenant as the real estate market improves. The Landlord has a number of mechanisms to accomplish this goal. The “right of recapture” allows the Landlord to take back the space, either before the Tenant has secured a subtenant or after a deal has been negotiated with a subtenant. “Profit-Sharing” occurs when the Landlord and Tenant agree to share the sublease rental amount above the Tenant’s rental rate after expenses. Profits are strictly defined, as there are many costs involved in subletting space, including brokerage commissions, Tenant construction work and free rent. Tenants need to negotiate these definitions carefully. Landlords can restrict Tenant rights in other ways, including requiring the subtenant to be in a financial condition at par with the Tenant. The Landlord may also require the subtenant to strictly conform to the use clauses of the lease. The Landlord can exercise a subjective decision regarding the Tenant’s suitability. The more flexibility the Tenant builds into its sublet clause, the better the chance of getting out of the lease and, if market conditions permitting, generate a profit. By definition, subleases are either for a part of the space or a part of the term of the lease. Frequently, subleases for an entire space terminate one day prior to the expiration of the controlling lease. With an assignment, the subtenant steps into the shoes of the Tenant and inherits all the Tenant’s rights and liabilities for the entire leased space and for the entire term. Rental rates are based on the increase in the Consumer Price Index (the “CPI”). If a rent is $20 per square foot and the CPI increases by 2%, the rent in the subsequent year is $20.40 ($20 x .02). The CPI is cumulative. In this example, if the third year increase in CPI is 3%, the cumulative increase is $20.40 + ($20.40 x .03,) resulting in a per-square-foot rent of $21.01. If inflation increases at 5% per year, cumulative increases result in a $31.03 final rent for a ten year lease with a $20 beginning rent. The US Department of Labor has established a number of ways to measure inflation. Be aware of the index used, as some rise faster than others. This is the most favorable approach for the Tenant, given proper checks and balances. Under this clause, the Tenant pays the increase in expenses calculated over a base year. The base year is usually the first year of occupancy or a mutually agreed upon year. The expenses for the base year are fixed. In the years subsequent to the base year, the Tenant pays its share (as a percentage of the building) of any increases in the annual operating expenses. For example, if a Tenant occupies 20,000 square feet of a 100,000 square foot building, or 20% of the building, and the expenses for a building are $400,000 in the base year and $412,000 in the following year, the Tenant would pay an additional $2,400 per year ($412,000-$400,000 X 0.20). In subsequent years, expenses are compared to the base year and multiplied by the Tenant’s proportional share. A Tenant should be aware of what constitutes “expenses.” As a general rule, any type of capital expense is excluded from the category of operating expenses. Lease terms should insure that expenses are within an acceptable range for similar properties. In addition, the Tenant should have the right to audit the Landlord’s accounts. It is very important to verify base year expenses to ensure that they are not substantially lower than subsequent years. In addition, Tenants pick up the entire cost of additional services if they are provided in subsequent years. The Tenant directly contracts with the utility for electricity as in residential real estate. The Tenant is responsible for the payment to the utility of monthly electric charges. This usually results in the lowest cost for the Tenant. The Landlord purchases electricity directly from the utility for the entire building and resells it to each Tenant based on the Tenant’s actual metered usage (measured by a sub-meter to the building’s main meter). In this scenario, Landlords typically charge a mark-up and sales tax. Under rent inclusion, the Landlord charges the Tenant a fixed charge based on the Tenant’s expected usage. For example, charges can range from $1.25 per rentable square foot in suburban locations to nearly $4.00 per rentable square foot in metropolitan areas. For commercial office Tenants, the relationship with a Landlord extends beyond the initial lease transaction. The Tenant incurs expenses and contracts with the Landlord for services, including construction, cleaning, electric service, air conditioning, heat, security and maintenance. Escalations are clauses in the lease that provide rent increases to cover property operating costs and real estate taxes. These clauses are required by mortgagees in order to secure the mortgage and prevent the net income and equity in the property from decreasing. There are several forms of escalations commonly used: direct expense passthrough; CPI (consumer price index); set percentage increases; and Porter’s Wage Formula (New York City only). In gross leases, Landlords provide services together with physical space. These services can include construction, cleaning, electric service, air conditioning, heat, security and maintenance. Management’s responsiveness to Tenant problems is an essential issue. The problem most often cited by Tenants is non-responsiveness by Management Companies/Landlords. A qualified real estate broker will be familiar with all of the different owners and management companies within a geographical area. If management is responsive and takes proper care of their properties, there is a higher probability that the level of service they provide will be acceptable. All services provided by the Landlord and the standards by which they are supplied are specified in the lease. For example, air conditioning and heat are provided within standards set by local building codes, or per tighter standards developed by an architect or engineer. Air quality has received much focus recently because of complaints by employees. Evaluation of building systems should be done prior to leasing space. Maintenance procedures and their monitoring can be negotiated as part of the lease. Other issues that require evaluation include cleaning standards, access to the building (which can be restricted) and security (which may not be provided around the clock). Government regulations covering handicapped access and hazardous materials disposal need to be addressed as well. Historically, Landlords have not had as much influence in providing telecommunication services as they have for electricity. Landlords control electric service through its distribution within a property and derive financial benefits (See Electric). However, when examining a building, Tenants should be aware of the amount of electric available within its space and within the building. If additional electric capacity is required, upgrading electric service from the utility carrier is a lengthy and expensive process. Historically for telecommunications, Landlords have not exercised the same control simply because the laws do not permit it. Today, however, the rules have changed and continue to change. New services never before anticipated are now the rule. Satellite dishes, fiber, T-1’s, T-3’s, copper backbones and wireless are just a few of the enhanced services regularly offered in buildings. The Tenant should ensure that there are no restrictions regarding access to a preferred vendor. Physical limitations, such as riser capacity, need to be evaluated. The right to access common and mechanical areas must be negotiated in the lease. Roof rights have become expensive, especially in visible locations. There is a variety of ways to negotiate the construction cost for a space or building, but it is dependent on who performs the work. Often, the Landlord will maintain control of construction, ostensibly to “protect” his building from poor workmanship. Frequently, the construction company and the Landlord may not be independent entities; (construction may be a profit-center for the Landlord). Therefore, there should always be a system of checks and balances for controlling the construction process and costs. The simplest way to control construction is to have the Landlord provide a monetary contribution toward the Tenant’s build-out costs. The Tenant then assumes responsibility for construction. Payments to contractors are made upon receipt of invoices for completed work. This method gives the Tenant the most control over construction and, if done properly, the Tenant can obtain the best value. However, in this scenario, the Tenant assumes the responsibility and risks of construction and cannot look to the Landlord for recourse if there are problems with contractors. Some Landlords provide a “work-letter” which specifies the quality and amount of items that a Landlord is willing to supply toward the construction of space. For example, the Landlord may specify a certain manufacturer and style of light fixture and provide one per every 150 square of feet leased space. The work-letter specifies all items required for building-out space in a standardized fashion. Any changes or variations from the work-letter are usually provided at additional charge. Many Landlords offer a turnkey (or “build-to-suit”) office that is built to plans supplied by an architect. The Landlord and Tenant agree on the timing and cost of construction with the Landlord assuming responsibility to construct. The Tenant is well advised to make certain that the Landlord does in fact build to its plans and specificationsand that all timetables are met. Other issues including the handling of design revisions, delays and poor workmanship must be addressed. In all of the above situations, responsibilities and timeframes need to be defined as specifically as possible. If they are not met, recourse mechanisms need to be in place to resolve problems. Plans often need to be submitted for governmental building permits. This process requires substantial time. Permits are usually required before construction is allowed to proceed. After poor management, Tenants site poor air conditioning as the second major complaint. Air conditioning systems require careful engineering evaluation prior to leasing space. There are several ways a building is cooled; each has its own advantages and disadvantages. For central air conditioning system, often the Landlord controls and maintains it as part of the services covered in the lease. There are set hours when air conditioning is operating. These hours should be reviewed in light of the Tenant’s needs. After-hours air conditioning can be very expensive in some buildings ($300+ per hour). If the Tenant controls the air conditioning, the Tenant is required to maintain it and pay for its operation (through its electric bill). The benefit is that the Landlord can not usually restrict the hours of operation. The entity that controls the air conditioning equipment is usually charged with maintaining it. However, if the Tenant assumes the operation of older equipment, it must ensure recourse if performance is faulty. Air conditioning performance can be defined within a lease, but enforcement is always difficult. The Tenant is better served engaging an engineer to evaluate the system in a property to determine its adequacy. In addition, the system type will affect performance. For example, Variable-Air-Volume (VAV) systems can adjust the volume of cold air being distributed within an area (or within an office). This provides employees control over the temperature in their space and leads to fewer complaints in the long run. Tenants should be aware of the difference between a water-cooled and an air-cooled system. Water-cooled systems usually feature a building-wide cooling tower that cools the water that is used to cool the air. The water is piped down to a fan unit that acts as a heat exchanger between the water and the conditioned air. Water- cooled systems are more efficient than their air-cooled counterparts. Air-cooled systems use air as the medium for heat exchange. Landlords provide cleaning by engaging outside cleaning contractors. The cleaning contract establishes performance criteria. The duties (dusting, trash removal, etc. ), quality and frequency are defined. Tenants should be certain that the terms are adequate for their needs. Security guards, concierges and doormen are among the security options provided by a Landlord. Electronic surveillance and identification is becoming more common in high-end properties. For employers, security represents a large area of potential liability. Tenants require security, especially after hours. Building procedures can be reviewed to determine whether the Landlord takes adequate action to ensure the safety of persons in the property. Landlord and Tenant agree that as the Porter’s hourly wage, which results from a negotiation between the Realty Advisory Board (Landlord’s bargaining agent) and the local union, increases for Class A office buildings and for worker classification designated “Other”, the per square foot rental rate increases by the same amount. For example, the worker’s hourly wage increases by 60 per hour the rent shall be an additional 60 per square foot. It becomes more complicated if wages include the hourly value of fringe benefits. Information on the past and prospective increases in Porter’s Wages can be found in the Real Estate Board of New York Diary. 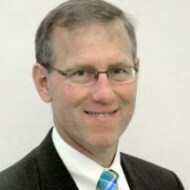 (See www.rebny.com/useinfo.html). Real Estate Taxes are calculated by multiplying a property’s assessed value by the tax rate for its class of property. For Tenants in gross leases a base year of taxes is included in their rent. Tenants are responsible for increases above the base year for their proportionate share of the building. There are many questions that result from these calculations because the Landlord can contest taxes with a certiorari proceeding. If successful, who receives the benefit? If base year taxes decrease subsequent to a certiorari, does the rent decrease? Who has the right to contest taxes? Who pays for the expense of contesting? All of these questions are negotiated as part of the real estate tax clause in the lease. A Landlord will require a security deposit from a Tenant as insurance that the Tenant meets its rent commitments through the end of the lease. The amount of the deposit will vary depending on the credit-worthiness of the Tenant and the Landlord’s cost outlays to secure the Tenant’s occupancy. For example, if a Tenant requires a new build-out and the Landlord constructs the offices, the Landlord will seek to secure the cost of construction in the deposit. Tenants looking to minimize the deposit can argue that the long-term value of an installation benefits the Landlord and that even in the case of default, the benefits of construction will accrue to the Landlord. This argument is less valid for an installation created specificly for a tenant. There are many other strategies to minimize the deposit requirement: A tenant may pre-pay rent in lieu of a deposit or can have a portion of the deposit returned after the having paid a portion of the rent in a timely fashion; Letters of Credit may be used in lieu of cash. Deposits should be held in an interest bearing account, although this is not a legal requirement for commercial leases. These are calculated in the same manner as CPI except the Tenant and the Landlord agree in advance on the annual increases. For example, the parties may agree on an annual increase of 3% per year, which may be cumulative. The Use Clause can be very important because it dictates the level of flexibility a tent has when using and subleasing a space. A non-disturbance clause allows the Tenant to remain in its space after a foreclosure on the property’s mortgage. A lender (mortgagee), after foreclosure, has the right to dispossess any Tenant who does not have a prior non-disturbance agreement with the lender.